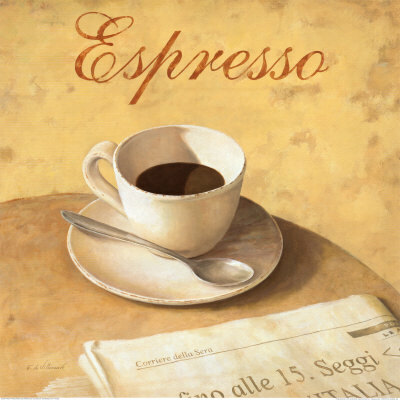 A little over six years ago, my husband and I were living in Italy when I had my first cup of espresso. I didn’t order it, I ordered a coffee but in Italy their caffé is actually a cup of espresso. When the waiter brought me my tiny cup as opposed to a regular coffee I made the decision to go ahead and take a chance. It was horribly strong! My husband laughed at me because I had started coughing and I think even the waiter smiled. It took a long while of me trying, but eventually I really enjoyed having a nice espresso in the afternoons to give me that extra jolt you need at the end of the day. Now, when I brew my own espresso, I get that chance to slow down and talk with my friends and family about everything and anything we can think of. That’s kind of what I’m going for here with this blog. You should know that I am a mother, a veteran, and a writer. I have an amazing husband and two wonderful dogs! I’m hoping that you will join me here from time to time for a coffee *smile,* and we can get to know each other! Hi, Nicole. Yum, expresso. I take my with a lot of sweetner and some milk, please. Were you in the service when you were in Italy? Actually yes and so was my husband. It was a great four years! To both you and your husband, thank you for your service.